I know many people swear off can food. But, not me. I like having can food around. The trick is to get really good and interesting ones. It really does makes life easy especially when you have a long day at work and don’t feel like eating out or cooking. I know can food can be boring. But, it can also be really elegantly presented. It just takes a little effort. This is a little something I whipped up for dinner. Place the smoke oyster and sardines onto a little bake dish. Bake till hot. Toast the flat wraps till crispy (I just lay them out in the oven and flip to the other side once brown). 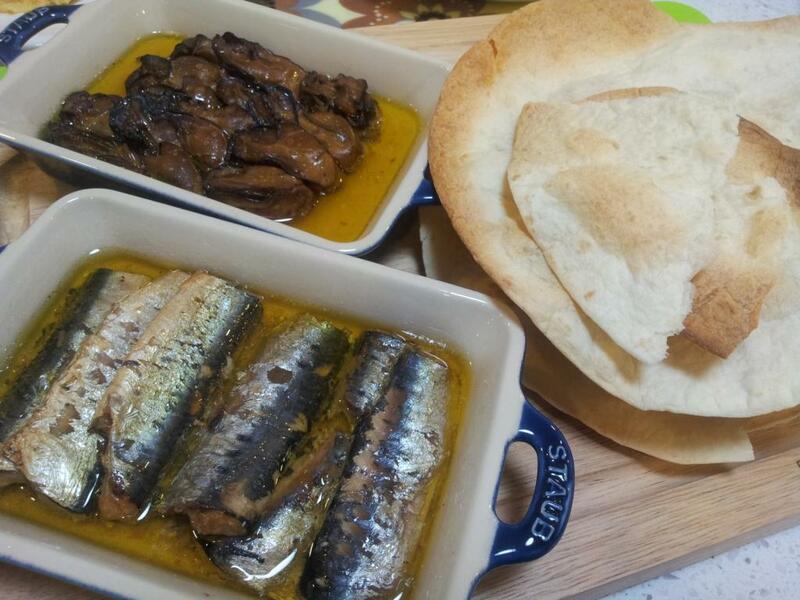 To enjoy, just break chucks of the flat bread and scoop some of the oysters / sardines onto the crispy bread. yummzz… Delicious light dinner done in under 15 mins. Works well as finger food or hors d’oeuvres. Enjoy.